Place your furniture with a purpose. Don’t just place it against the walls and hope for the best. If a room is not planned, it looks messy. If you’re about to buy furniture draw up a plan first and really think about layout. You want to hang some things on your walls so they aren’t bare, but don’t put too many things all over the walls because it can be overwhelming. If you like pictures, try to have similar or matching frames. Make sure the images you are hanging go together with color and theme and really consider how they should be arranged. You might think the mismatched look is hip or bohemian. But it can also make your house look like a thrift store. You can do this look but you have to make sure it is designed and not just placed together. Seat heights should be the same, and make sure the pieces relate in some way. This may sound weird, but a fluffed pillow can really make that chair or couch look fantastic. A squished pillow just looks worn and unkempt. Seat, back, and throw cushions all need this to be done on a regular basis. You will see a difference! When your cabinets are organized, the spaces outside of them will be cleaner. You won’t have to pull out a bunch of stuff to find what you need. Use containers instead of bags to keep things in order. You might not think much about where you keep coats and shoes. However, this is the first impression of your home. Don’t neglect it. Consider a cubby to organize coats, shoes, and bags. Maybe even decorate! 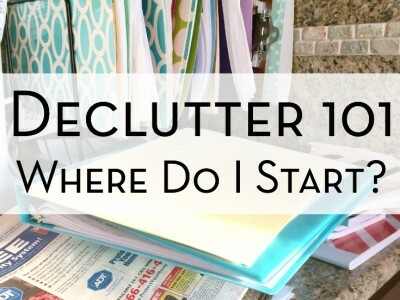 Organizing will make your life so much easier. This goes along with those pesky cabinets. It’s much better to know where stuff is by labeling it. You won’t have to dig for hours and stuff stays where it’s needed. Even if your house is very clean, a bunch of cables on the floor will make it look messy. Go through these cables and make sure you need them all. If you don’t have them connected to something then store them. Gather the longest in bundles and use rubber bands and zip ties to hang them. Now the pile is gone! You don’t have to get rid of everything. However too many knick knacks just look like clutter. Plus, everything needs to be dusted. Keep only those that are the most special to you and consider getting rid of the others. You can even give them as gifts! Consider how you place them as well. Try a cabinet or shadow box for them. This will keep you from getting too many. A huge bookshelf in a small room can cramp your space and look overwhelming. But stuff needs a place to be put. How about floating shelves instead? They’re a more minimalist look and they can be customized. They are a great way to accommodate your stuff in a stylish way.